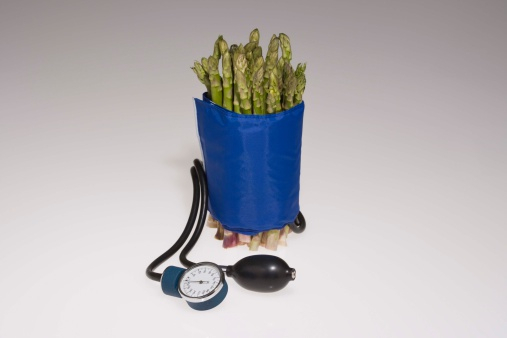 Home » Health News » Plant-Based Diet: Cholesterol-Lowering and Now Blood Pressure-Lowering? According to a study recently published in Nutrition, Metabolism and Cardiovascular Disease, a portfolio diet, which is a diet developed for lowering cholesterol levels, can also lower blood pressure. The most common dietary approach to reduce blood pressure and improve overall health is the dietary approaches to stop hypertension (DASH) diet. The main concept behind this diet is to lower sodium intake by minimizing processed foods and increasing the consumption of whole foods rich in nutrients, such as potassium, magnesium, and calcium. Besides reducing the risk of high blood pressure, this dietary approach has also proved beneficial in improving symptoms of certain cancers, heart disease, diabetes, and osteoporosis. The DASH diet focuses on consuming a variety of whole grains, vegetables, fruits, low-fat dairy products, lean meat, fish, poultry, nuts, seeds, legumes, and some healthy fats such as olive oil. It also emphasizes the reduction of red meat, processed foods, and alcohol. The comparative dietary portfolio approach was determined by incorporating foods that previous scientific studies have shown can reduce blood pressure. It focused on promoting the intake of nuts, soy protein, and plant sterols found in foods such as vegetable oils, leafy vegetables, and viscous fiber found in oats, barley, and eggplant. It was an intensified dietary approach based on a previous study. The study involved 241 participants who had a history of hyperlipidemia, or high fat levels in the blood. The control group consumed a DASH-type diet and the study group consumed the described portfolio diet over a six-month period. Dietitians provided dietary guidance to study participants. Trained professionals analyzed fasting blood and urine tests, as well as food records throughout the study. Findings revealed that about 50% of participants who consumed the portfolio diet adhered to the diet for the duration of the study, whereas there was complete adherence in the DASH diet group. However, the portfolio diet was demonstrated to be more effective. It reduced blood pressure by an additional two percent compared to the improvements found in the DASH-type diet. Plant-based diets are commonly associated with a reduced risk of blood pressure, heart disease, and stroke. Dr. Jenkins notes that this study has already affected dietary guidelines in Canada and Europe to help improve cholesterol levels. Future studies could further investigate the effects of taking a plant-based dietary approach and update current guidelines so that healthcare professionals can assist patients with high blood pressure in making any necessary dietary modifications. Jenkins, D.J.A., et al., “The effect of a dietary portfolio compared to a DASH-type diet on blood pressure,” Nutrition, Metabolism and Cardiovascular Diseases 2015, doi: 10.1016/j.numecd.2015.08.006. “Cholesterol-lowering ‘portfolio diet’ also reduces blood pressure: Diet has already impacted guidelines in Canada and Europe,” ScienceDaily web site, November 7, 2015; www.sciencedaily.com/releases/2015/11/151107074737.htm.